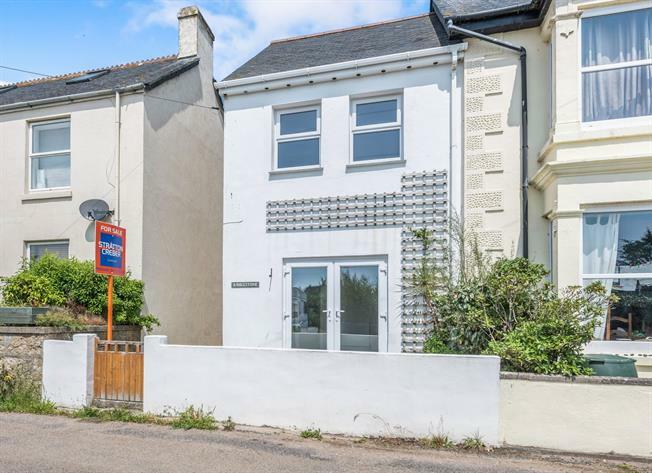 2 Bedroom Semi Detached House For Sale in Penzance for Asking Price £175,000. CHAIN FREE - 'Kibblestone' is a well presented two bedroom semi-detached property that is nestled within the pretty hamlet of Trethewey. The property benefits from uPVC double glazing along with lovely countryside views from the rear with parking and garden opposite. The property is warmed via a LPG central heating system with accomodation in brief comprising kitchen/dining room and lounge to the ground floor, double bedroom and bathroom to the first floor with a further double bedroom to the second floor. UPVC double glazed front door. Double glazed uPVC window facing the rear. Spotlights. UPVC French and back double glazed door, opening onto the patio. Radiator, carpeted flooring, wall lights. Double bedroom; double glazed uPVC window facing the front. A built-in wardrobe. Double glazed uPVC window facing the rear overlooking fields. Radiator, tiled flooring. Built-in WC, roll top bath, shower over bath, pedestal sink. Double bedroom; double glazed velux window. Radiator, carpeted flooring.